If you follow me on Instagram then you most likely have already seen a similar picture...but for those of you who have not seen it, here is a little peek into baby Ronin's nursery. I have a few more pictures and do-das to hang and once it is all up I will share the finished project. I can not believe how fast time seems to be flying this time around. It seems like yesterday we announced we were expecting a new addition and now he is almost here! It feels like Christmas times 1,000000000. On a side note: Thank you to those of you who took the time to leave a comment on yesterday's post. I know it can sometimes feel like your comment gets lost in a sea of other comments but I read each and every one and really appreciate all the wonderful advice! Your blog is very inspiring. Thanks for sharing such great ideas. I absolutely love this theme. I can't wait to see everything! aw cant wait to see the whole room !!! So sweet. I too cannot believe how quickly time has gone by. I remember watching the video that revealed you were expecting! So adorable - I love every detail! Congratulations! He will definitely be a traveller! Oh just super adorable Lindsay! We have a travel theme for Mila's room too! And of course I love Oh the Places You'll Go! I love it!! I feel so unsettled that we don't have a nursery this go around and won't for a few months after all our family leaves (we're converting the guest room) but it will be worth it to have our family here visiting for a bit. LOVE, love, love it! Can't wait to see more! I want this baby room for my future child. It is seriously so brilliant! that looks wonderful! here's to smooth sailing in the last few weeks. Super sweet. So excited for you on your expected arrival. sweet! looks so fresh and clean! this is a very pretty nursery! Congratualtions!! Looks really great, so clean and light and fresh! What a great room! I came across your blog just yesterday and I love it all! You're DIY's, you're recipes, you're stories, what a great job you're doing! really looking forward to reading more on your blog! Oh I love it Lindsay! I am so smitten with the whole map thing lately and that quote fits perfectly w/ it. What a CUTEEEEEEE nursery idea! It's amazing!!! I love it!!! You did such a great job!! Looks good so far! 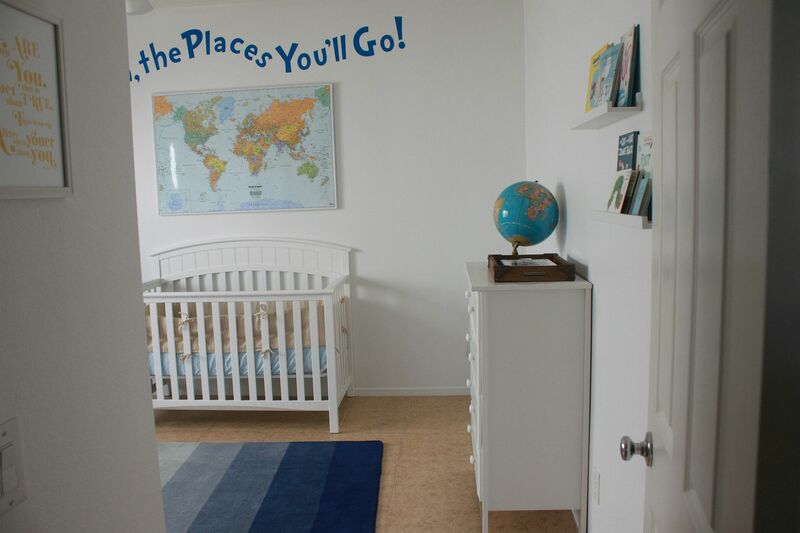 My friend was browsing on the internet and ran across your blog somehow and saw this post and told me about it, mentioning how she thought you might have maybe come across my nursery at some point online as added inspiration (http://www.kristineneeley.com/blog/2011/11/03/where-you-will-abide/). I went to your pinterest board, and lo and behold, you did! Of course gathered together with a million other ideas, which pinterest is WONDERFUL for. If it hadn't been for pinning, I don't know where my nursery would be. I look forward to seeing your final images!